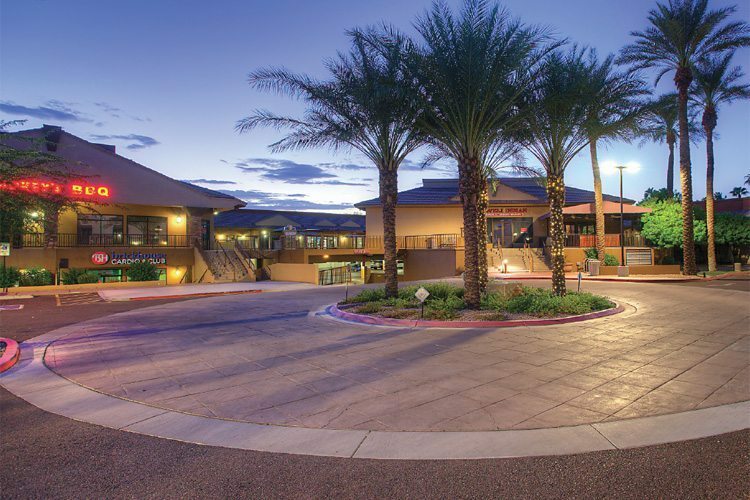 DPC Companies, headquartered in Denver, has purchased 7 Thousand Shea; a mixed-use 145,000 square foot development in Scottsdale, Arizona, adjacent to beautiful Paradise Valley. ORION Investment Real Estate facilitated the sale for $16,000,000, or $110 per square foot. Well-situated on over 8.3 acres, 7 Thousand Shea sits near the premier Scottsdale Road and Shea Boulevard intersection. The property is located around some of the most expensive housing in the state with average home values in excess of $1M. It is adjacent to Paradise Valley and the highest concentration of million dollar homes and estates in the Southwest. “With its desirable Paradise Valley location, the center presents the opportunity to create a first class, mixed-use project,” said Chris King, president and CEO of DPC Companies. “7 Thousand Shea is a great addition to our already well-established Arizona portfolio and we are excited to make this an iconic mixed-use project on a rare Scottsdale infill site,” King continued. “This has been an underperforming and transitional property for more than a decade! Having gone through a foreclosure, the Seller [Younan Properties] did a terrific job stabilizing the asset post-foreclosure, while delivering their investors a very solid return,” noted ORION’s President, Ari Spiro. Andrew Harrison of ORION Investment Real Estate represented the Buyer. Chris King and Justin Lutgen managed the acquisition on behalf of DPC. Ari Spiro, Sean Stutzman and Jared Williams of ORION Investment Real Estate represented the Seller, Younan Properties, based in Woodland Hills, CA.